A GREAT BIG GOLDEN BEAR THANK YOU to all our donors for helping us raise 196% of our initial goal of $8,160! We are thrilled and grateful for your generosity. 123 of you helped give a collective $16,056 so that we can fly up low-income students from Southern California, pay for shuttles from Oakland airport to campus, cover any airport fees such as luggage overages, and provide refreshments to our traveling Bears while on their journey to their new home in Berkeley. Thank you for showing these new Bears that the Cal community supports them and has their back. Go Bears!! Giving on this page has closed, but if you'd like to make a give, please contact development@alumni.berkeley.edu. 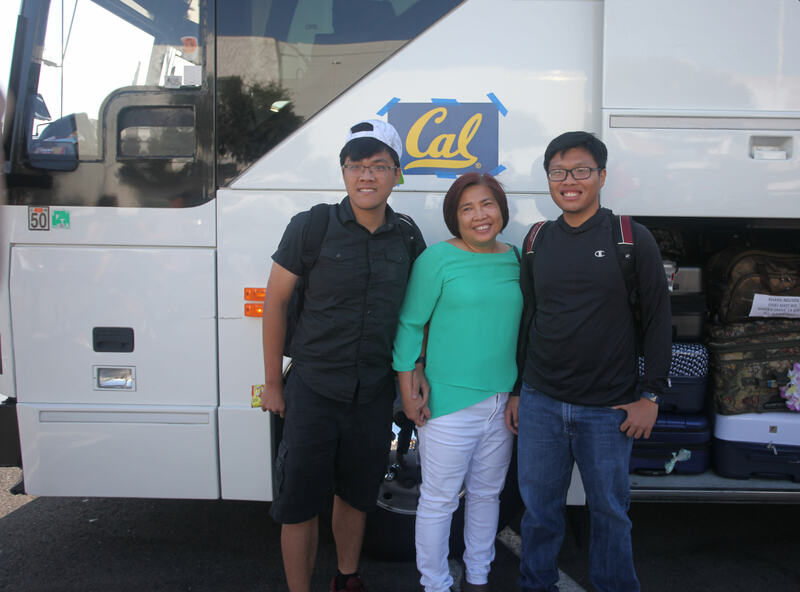 The Golden Bear Express covers the cost of transportation from Southern California to Berkeley for low-income students who are beginning their college journey at Cal in the fall. You can help by sponsoring a student in need! Many incoming low-income Cal students find it a challenge to make their way up to Berkeley on Move-In Day. In addition to the financial burden of travel, it is an added hurdle for families to accompany their students to the Bay Area because the Fall 2018 semester begins midweek. Traditionally, UC Berkeley's New Student Services (NSS) has paid for buses on a weekend day to travel from various Southern California locations for EOP students. In 2017, the Cal Alumni Association (CAA) partnered with NSS to help finance the Golden Bear Express buses. 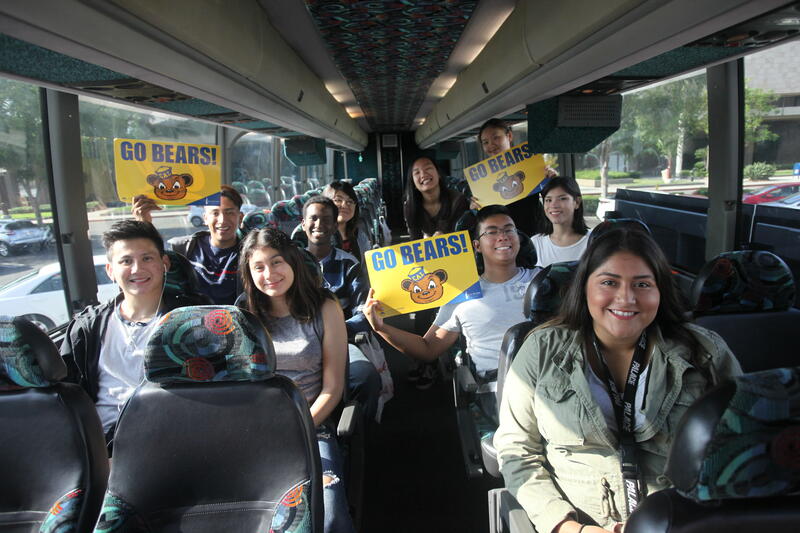 Six CAA alumni chapters in Southern California (San Diego, Orange County, Long Beach, South Bay, Los Angeles, and San Gabriel Valley) harnessed social media to raise $68 per student totaling $15,000 through 136 donors to transport 164 students on six buses. This was the first time CAA, through its alumni chapters (100% volunteers), harnessed social media to crowdfund a project. Buses are no longer logistically possible because the semester begins on a Wednesday—bus travel would take much longer due to midweek commute traffic, making it difficult to arrive on campus by the 6:00 p.m. deadline for students to move into residence halls. To avoid these challenges, we are using a low-cost airline this year to ensure that students arrive in Berkeley on time for the move-in deadline. As we enter year two, we are looking to expand our reach to Cal alumni and friends beyond Southern California through Berkeley’s crowdfunding platform. 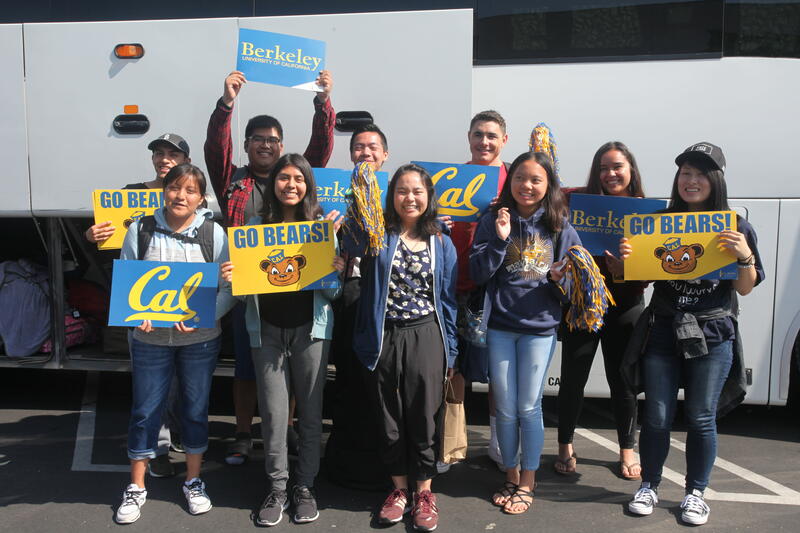 A tax-deductible gift of $68 will fly one Cal student with financial need from Southern California up to campus for Move-In Day on Monday, August 13 to start their Berkeley journey. Would you consider making a gift today? The campaign will run from April 1 to 30, 2018. We hope to fund 120 seats (30 each on four flights from four airports in Southern California: San Diego, Orange County, Long Beach, and Burbank) for a total goal of $8,160. 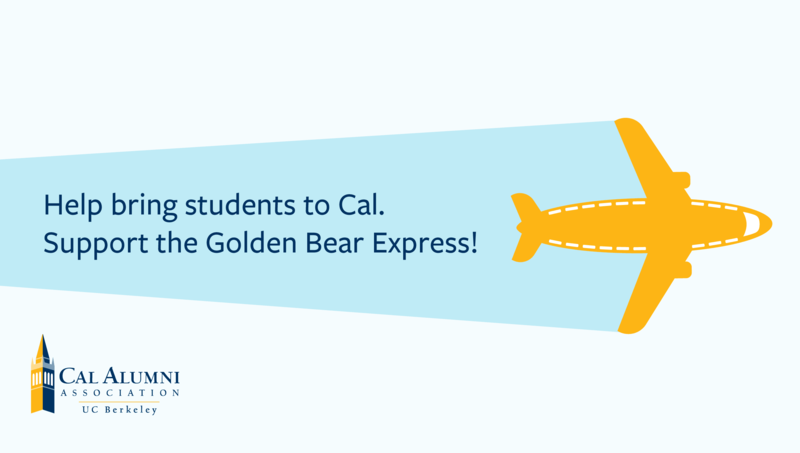 Please make your gift to the Golden Bear Express, and spread the word to other Cal alumni and friends. A gift in any amount will make a huge difference, and will help the next generation of Cal students travel to their new home at UC Berkeley. Proceeds from this campaign will support CAA's Golden Bear Express. Funds raised in excess will directly support students through CAA's student programming. Donate $18.68 in honor of the 150th Anniversary of UC Berkeley's founding in 1868 and receive a public thank you on our social media channels! Give $34 toward supporting one student and receive a personal thank you email from an alumni chapter volunteer leader or CAA staff member. Support one student for $68 and have your name listed on the official Golden Bear Express website. Support two students for $136 and receive a personal email from a benefiting student. Support three students for $204 and receive a personal thank you card from a benefiting student. Support five students for $340 and receive a personal thank you card written by a benefiting student along with a photo. Receive a personalized thank you video from a benefiting student for your generous gift of $500 or more!